It wasn’t one of their best songs. It might even be among their worst. 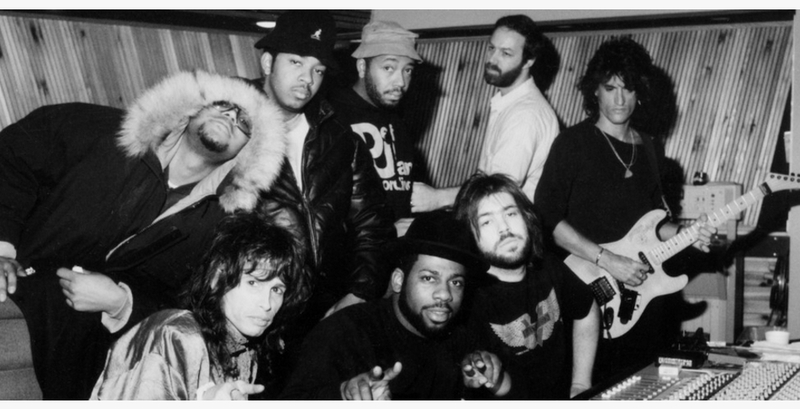 But when Run-DMC met Aerosmith on March 9, 1986 in an NYC studio to record a remake of the classic rock athem, “Walk This Way,” musical history was made. "There are so many better rap songs than 'Walk This Way'...but I would argue there is no more important song," says Geoff Edgers, author of the new book, Walk This Way: Run-DMC, Aerosmith, and the Song That Changed American Music Forever. On the podcast, we take a deep dive into the real story behind the song, time-traveling back to the early 80s when hip hop wasn't even on the radio and hair metal and new wave ruled MTV. Edgers, a national arts reporter for the Washington Post, also breaks down his exhaustive process of writing the book and shares never-before-heard footage from the now infamous recording session that brought Aerosmith and Run-DMC together for the first real rock-hip hop collaboration.